Segerstrom Center for the Arts is an architectural landmark in the suburb of Costa Mesa. It hosts everything from hit Broadway musicals to ballet performances and grand orchestral concerts. Here you can see headline pop acts as well as intimate cabaret performances. This is also home to the celebrated Pacific Symphony, Philharmonic Society of Orange County and Pacific Chorale. This prestigious venue has welcomed more than 13 million people through its doors since opening in 1986. It was previously known as the Orange County Performing Arts Center. 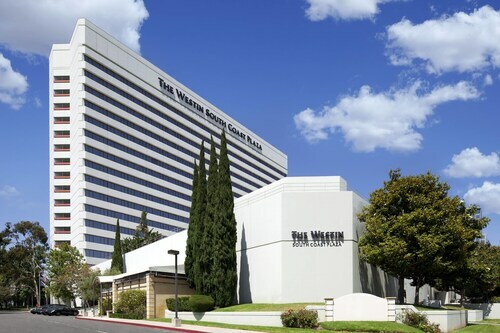 In 2011, it was renamed to honor high-profile Orange County benefactors the Segerstrom family, who contributed generously to a large expansion program in 2003. That project produced a sleek, state-of-the-art complex. Segerstrom Center now consists of five separate venues: a 2,000-seat concert hall, an opera house-style hall that seats 3,000 and a 500-seat theater. The theater hosts standing-room-only rock gigs but also transforms into a club-style venue for intimate jazz performances. Leatherby’s Café Rouge is a fine-dining restaurant open for dinner before and after most shows; bookings are recommended. In the 46,000-square-foot (4,300-square-meter) outdoor Arts Plaza you can attend free community performances. For the weekly Movie Monday Series in summer, the plaza transforms into an alfresco movie theater. Classic films are projected onto the walls of the nearby Concert Hall. Visitors bring along chairs, rugs and picnic dinners and set up on the outside lawn. If you are visiting in summer, check ahead to confirm whether the movies are running. Free, guided tours explore the backstage area of the center. They provide commentary on the history and architecture of this cultural hub. Check in advance for tour departure times as they are scheduled around performances. Segerstrom Center for the Arts is located in Costa Mesa, about a 15-minute drive from downtown Santa Ana. Free parking is available. 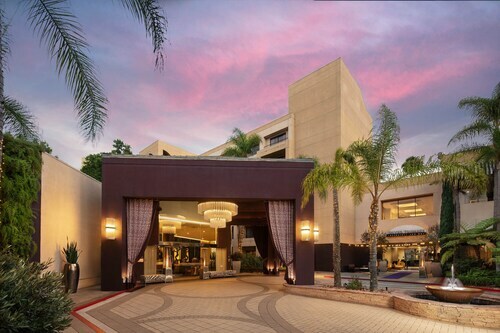 Enjoy one of the 253 all suite guestrooms of this Orange County Marriott is located a few blocks from the South Coast Plaza shopping mall. In the center of the business district, the hotel is also 1.2 miles from the airport, and 3 miles from the Bren Events Center. 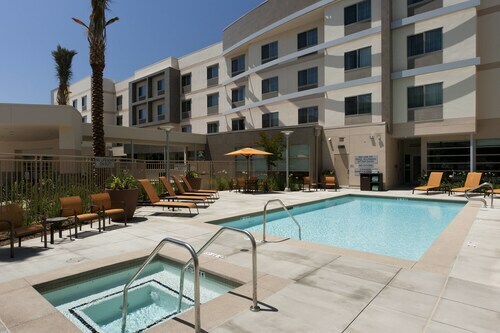 Situated in Costa Mesa, this apartment building is within 3 mi (5 km) of Segerstrom Center for the Arts, South Coast Plaza, and The Observatory. The Camp and Lyon Air Museum are also within 3 mi (5 km). 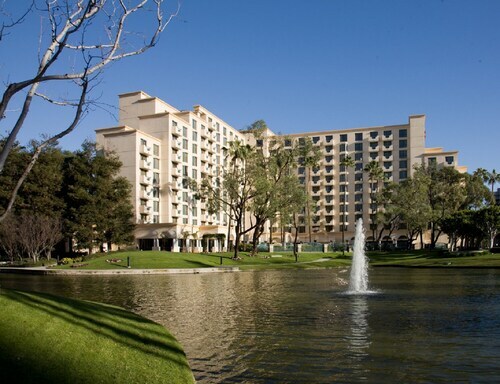 Set next to the serene Hutton Centre Lake, this Doubletree® Club is near the Segerstrom Center for the Arts, the South Coast Plaza, Irvine Spectrum, and The District at Tustin Legacy malls, and 10 miles from Disneyland® Resort, and Knotts Berry Farm.